My book is here! : The Power of Outrageous Expression. This book is full of tips and stories about how to get yourself heard and overcome your fears of speaking up! Get your copy here. Frustrated as nobody is listening to you? Feeling scared of speaking up? Want to shout but do not know how? 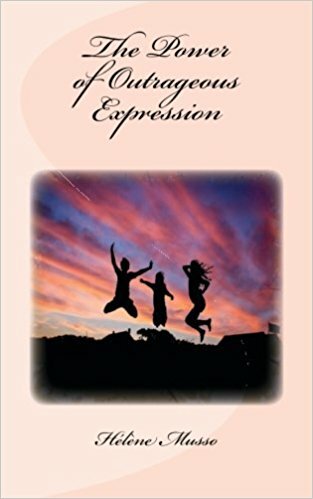 In this practical and unconventional account, and at times tongue and cheek, I invite you to consider the 5 essential keys to unlock your Outrageous Expression. I believe that you have the power to find your long lost voice and express yourself with confidence. This book will reveal techniques and tools to help YOU to overcome your fears of speaking in public, in meetings, in social situations, in life in general. I believe that everyone has the right, the duty, the responsibility to have a voice. You have the power to have to have this power! Get your copy here. The book and the course go hand-in-hand so please take a look at my book page. This fascinating book chronicles the development and evolution of the author from a self-confessed, insecure and slightly introverted younger member of the community to a confident, proactive, pragmatic, rounded, good-hearted, generous and fun human being. 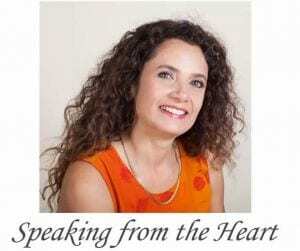 Her studies and experience, combined with an excellent ability to listen carefully to the stories of others, have resulted in a wisdom to help meeker souls still setting out onto the road to confidence.